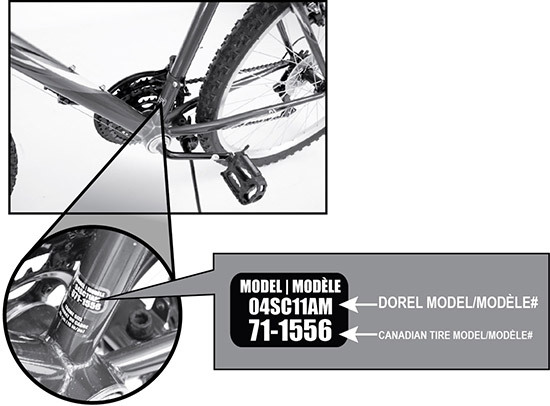 Montreal, August 2012 - Dorel Distribution Canada (DDC) is issuing a voluntary public notice to inspect and repair the following models of adult and youth mountain bikes sold at Canadian Tire. The pedals on the bike can loosen posing a fall hazard. 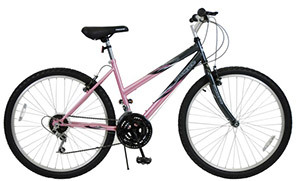 The bikes were sold in Canadian Tire stores across Canada from December 2011 to July 2012. 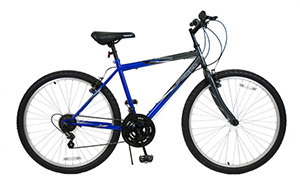 Consumers should immediately take back the bikes to their nearest Canadian Tire store for an inspection and repair. Only Supercycle SC1800 bikes that have one of the specified 4 DDC model numbers, noted below, are included in this public notice. The model number is located on a sticker on the frame under the seat.